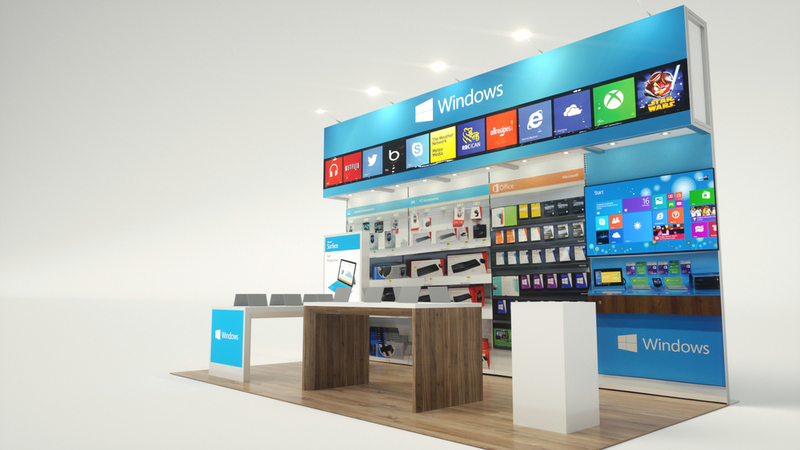 Windows Store — Exhibit Solutions Inc. The Connected Homes Summit hosted by Best Buy and Future Shop provided the perfect opportunity to showcase Microsoft's products in a store environment. Custom fabricated 'device bars' allowed them to demo Surface tablets & Windows 8, while the digitally printed back wall highlighted their other products.